I suppose the more refined way to refer to my cocktail proclivities is “spirit-forward,” but since the watchword for 2011 around here is honesty I’ll stick with how I really feel; I love booze. I’ve always loved a good Manhattan, but the first Martinez I ever had (Flatiron Lounge, May 2005) introduced me to the world of historical mixology and I never looked back. When a friend introduced me to this all-liquor variation on a classic Sidecar (Italian translation: Carrozzino) I was both intrigued and a bit wary. It turned out to be pretty damn good and so I share it with you today. 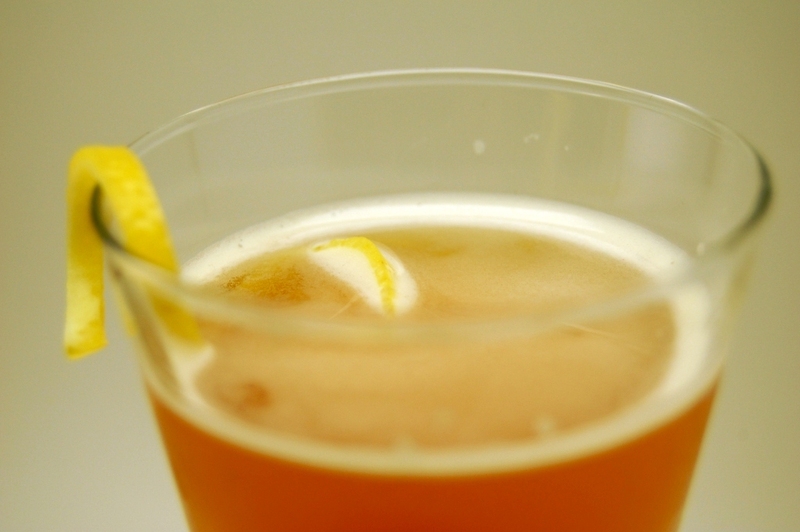 "Carrozzino," or even "Italian Sidecar," was not the name by which I was originally introduced to this drink. In fact, I can't remember what name my friend gave it; I just remember it sounded generic, non-descriptive and douche-y. 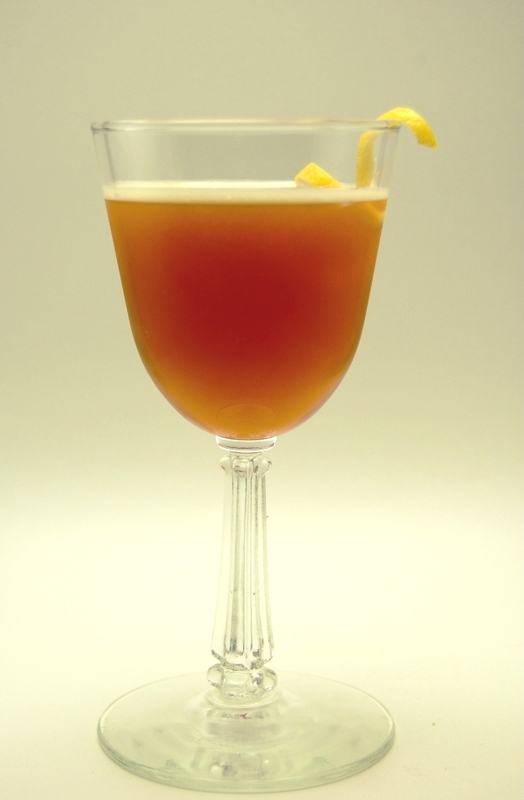 But my traditionalist leanings led me to connect this recipe with the Sidecar immediately, cognac in the front with lemon and a secondary liquor back. We added the peach bitters to liven it up, as the Carrozzino lacks the perk of the traditional Sidecar's fresh lemon juice. However, I find this to be smoother than a traditional Sidecar, and overall the imbiber is more than compensated by the direct warmth of the cognac, making for a great wintertime concoction. Combine all the ingredients in an ice-filled shaker. Shake and strain into cocktail glass. Garnish with lemon twist. We tried this with Punt e Mes vermouth thinking it would be an oh-so-clever way to make the drink that much more Italian, but the result was just a little too oh-so-bitter.